It’s a long way from Norfolk to Hungary but a little part of our Kitchen Garden owes a debt to the Sarvari family, who have invested over 50 years research into the causes and prevention of potato blight – and Sarpo Mira (SARvari and POtato) is just one blight resistant variety they have developed. I recently harvested these spuds, the last row left in the bed, and not only was I impressed by the quality of the tubers, but the quantity was fantastic! I had a rough count up and reckoned on at least 10 tubers per plant and I’ll definitely be using this late maincrop variety again next spring. So was this success all down to the variety? Not quite, as I planted quite early (March 5th) and rigged up a soaker hose to provide irrigation from late spring, so I’ve done my bit as well! 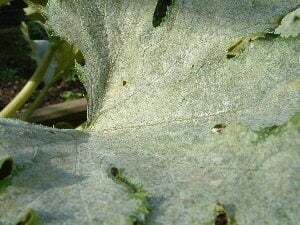 · Keep humidity down by ventilating the greenhouse and by adhering to the recommended plant spacing (90cm x 90cm for courgettes). · Avoid fertilisers high in nitrogen as this promotes soft leafy growth much, which is easily attacked by fungi spores (try our Organic Tomato Feed with a ratio of 3:2:9). · Water plants well from below and keep the soil moist by mulching (Strulch will help you with this, as will a ground-level drip-feed watering system). · Prune out and burn all infected leaves and clear up well when the crop is finished. Like them or loath them (does anybody with horticultural tendencies really like them, although I suppose they are a good source of food for beneficial creatures like hedgehogs and frogs), slugs are here to stay, so I’ve been continuing my battle to keep them from devouring all the plants in the garden. You’ll probably be well aware that I’ve been applying nematodes regularly – with great success, too – and September’s application is one of the most important of the year. That’s because the keeled slug (one of four in the mollusc rogue’s gallery, along with garden, common and black) lays clusters of 50-100 transparent eggs around this time, which lie dormant in the soil until spring. This obviously gives the keeled slug a head start the following year, so reducing the population now by way of the nematodes is a very good idea. I fully expect to uncover some egg clusters during my winter digging (can’t wait!) which I’ll dispose of – hopefully I’ll start off 2007 on a level playing field! You may recall from my September E-Mail update (and if you didn’t receive a mailing, why not?! You can subscribe through this website by clicking here) that this past month I was planning to put out a hedgehog house, which I have – complete with a pile of dry leaves and straw for the hog to take in for bedding. As yet, the house is still unoccupied but I’ve got my fingers crossed that a prickly little tenant will move in soon. I’ve applied leatherjacket killer to the lawned areas surrounding the Kitchen Garden, and had no problem identifying when the adult craneflies were emerging – there were swarms of them for roughly a two week period! Finally, I dug over some of the empty beds, which, as I feared, was hard work, but on the plus side the expected aerial attack from wasps never really got off the ground! Don’t forget to take time out from the garden to visit our Harrod Horticultural Garden Forum and enjoy reading the articles we’ve posted and the many comments they’ve attracted – maybe even post a comment of your own, especially if you’ve got some good gardening tips or can relate to some of the problems or questions raised. We’ve got recipes, pest control information and lots more – the Garden Forum is certainly the place to visit!